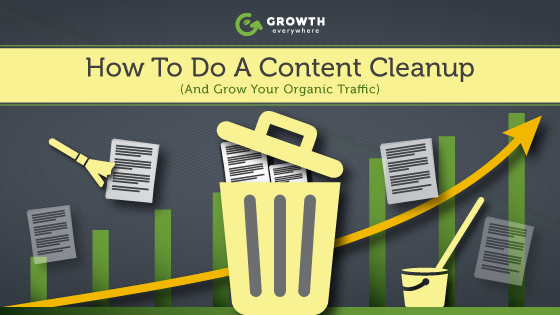 Did you know that you can increase your organic traffic by deleting content? In fact, deleting content can sometimes even triple traffic numbers. But in order to clean up your content, you’ll have to start with a content audit. 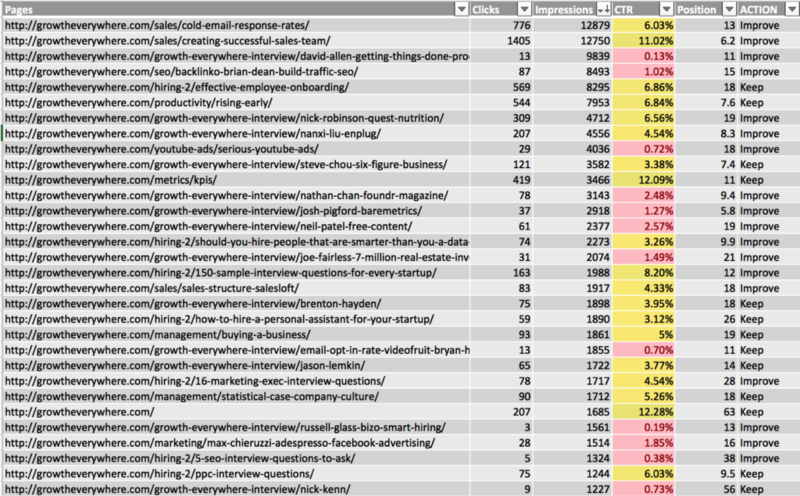 Why bother doing a content audit? To build your audience you must publish consistently, but as the years go by, how much of your older content is still relevant today? And how much of it is off-brand? That’s why it makes sense to take a step back at least once a year to create a better reader experience. If you don’t, you’re just letting the weeds grow in your garden. And no one likes visiting a wild, thorny garden. In this post, we’ll show you how to get started with a content cleanup. 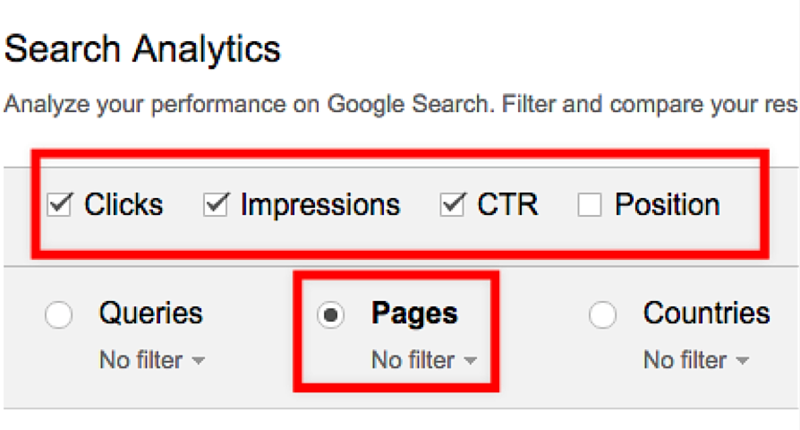 The first order of business is to go to Google Search Console and pull data around pages that are getting the most impressions but have a low click-through rate (CTR). From there, scroll to the bottom of the page and hit the ‘Download’ button to export the data to CSV or Google Docs. For this post, we’re going to use Microsoft Excel. Free Bonus Download: Get ready to receive more info to walk you through content expansion and maximize traffic and leads – actionable advice not found in this post! Click here to download it free. Keep – The post is on-brand and is good enough as it is. Remove – The content is totally irrelevant to what your brand stands for. For example, if your blog is about growing businesses and you have a post from a few years ago about ‘how to get an internship’, that’d be off-brand. Consolidate – This resource is either too short and needs to be combined with other similar resources to have a longer form post, OR there’s already something better that you can 301 redirect this post to in order to preserve your SEO equity. I particularly like consolidating posts into epic resource pages. Here’s a good example from Help Scout on customer acquisition. Improve – The content needs a few touch ups to stay up to date. For example, in the SEO world, Google is always adding big updates to their algorithm and if I have a post on ‘The Complete Guide to Google’s Updates’ then I need to revise it whenever a new update shows up. b. Click on the ‘Impressions’ column and select ‘Descending’. Above, you can see that my interview with David Allen (author of Getting Things Done) has a healthy amount of impressions but it’s performing poorly in terms of CTR. After inspecting the page, I can see that it’d help if I improved the headline and added more content to the post. Once you have all your content mapped out, I recommend starting with ‘Keep’ and ‘Remove’ first because those are the easiest to do. ‘Consolidation’ and ‘Improvement’ will take a bit more time and planning. Finish off this sheet and send it to your content team if improvements are needed. In terms of consolidation, it would make sense to send this to your web team so that they can take care of all the redirects to the relevant pages. After you finish making changes to each page, go into Google Search Console and enter in each URL to have Google crawl it quickly. 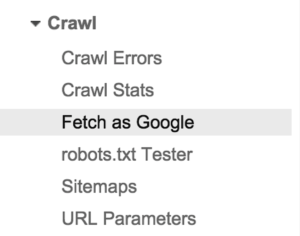 Log into Search Console and click on ‘Crawl’ -> ‘Fetch as Google’. After I make the changes, I can annotate it in Google Analytics and check back on the post in 30 days or so to see if I got a lift in traffic or not. 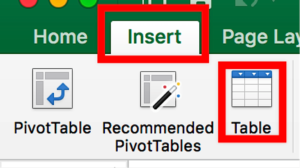 To annotate specific data in Google Analytics, click on ‘Behavior’ -> ‘Overview’ and click on the arrow right below the main graph. Then click on ‘Create new annotation’. Content cleanups or audits might seem tedious, but they’re essential to ensuring that your readers are getting the best experience when visiting your website. User experience isn’t just tied to the overall functionality and intuitiveness of a website—it also ties into your content. Removing content to increase traffic seems like an oxymoron, but think about what Google is trying to do: organize the world’s information. If your site becomes increasingly irrelevant, then the search engine will award search traffic to other results that are more deserving. By cleaning up your content and making sure that only your best stuff is out there, you’re helping the entire ecosystem.